"You are not grieving alone. We are all grieving with you. The entire country is grieving with you," is the message that a group of Marjory Stoneman Douglas High graduates from around the country sent to the survivors of the school shooting via a video shared on social media. 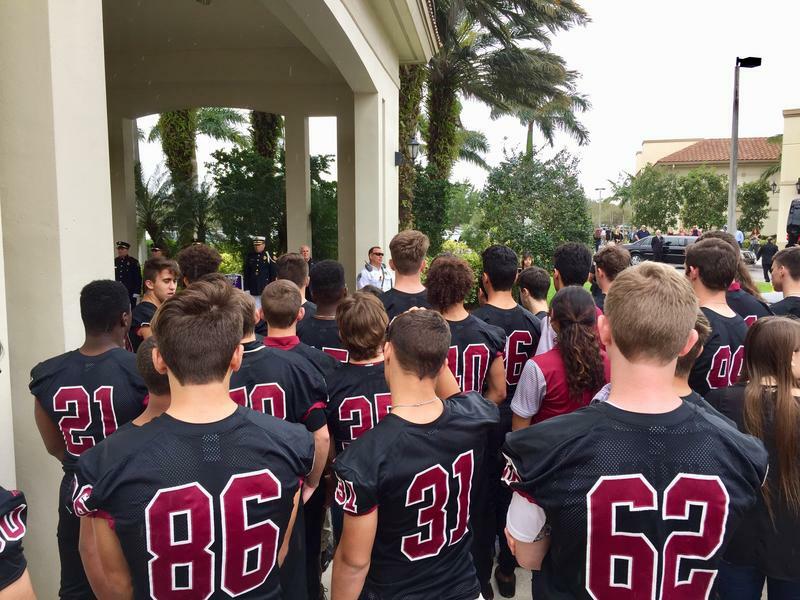 "Eagles soar high," "Be proud to be an Eagle," "We are with you," were among statements expressed in the video by Stoneman Douglas High alumni from all corners of the country, from Coral Springs to California, including Louisiana, New York, Wisconsin, Texas, Hawaii, Washington D.C. and other states. Also featured is Stoneman Douglas High Principal Ty Thompson, reminding survivors: "I will hug each and every one of you as many times as you need and I will hold you for as long as you need me too. All 3,300 of you and your families. We will get through this together. Our community is strong." The video closes with the photos and names of the 17 students and staff killed during the mass shooting on Feb. 14, and a quote from Marjory Stoneman Douglas: "There is always the need to carry on." 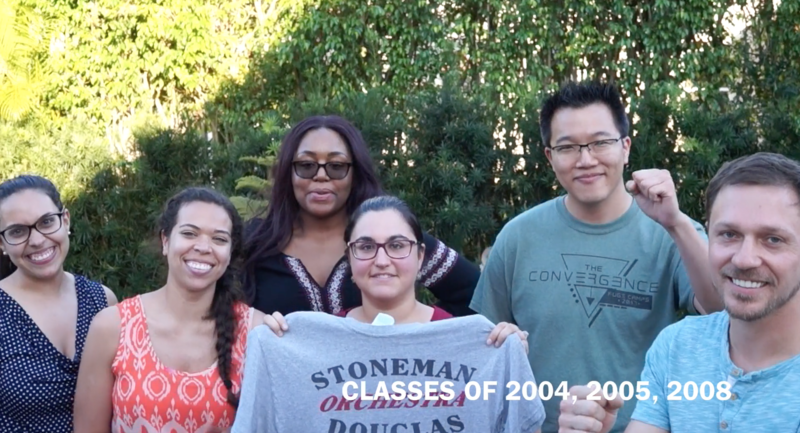 #MSDSTRONG | Marjory Stoneman Douglas High School from Ryan Blitzer on Vimeo. 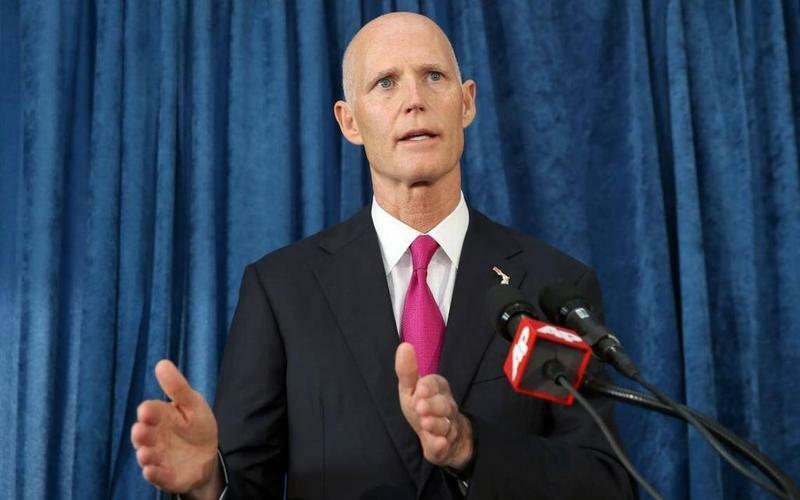 Florida’s governor and state lawmakers each released plans for improving school safety following last week’s shooting at Marjory Stoneman Douglas High School, including major changes to gun laws and more money for mental health. 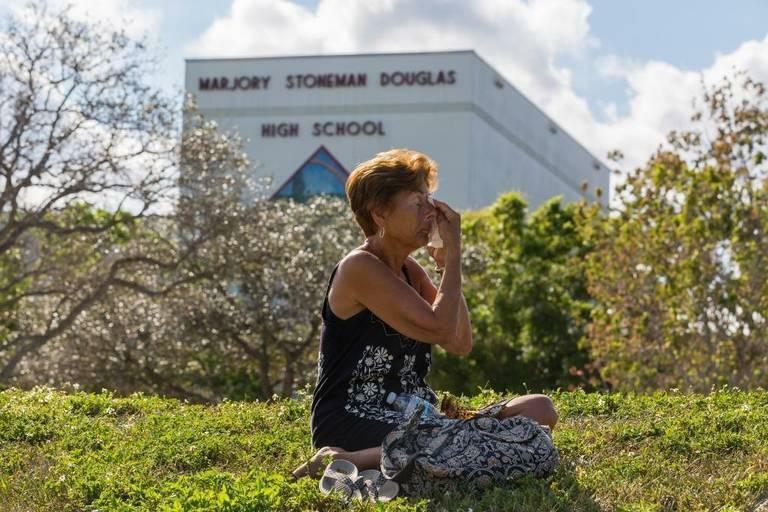 Not even two weeks after a shooter fired more than 100 bullets in the hallways of Marjory Stoneman Douglas High School, students and staff are returning to the campus fearful of emotional triggers that could force them to relive the traumatic event. 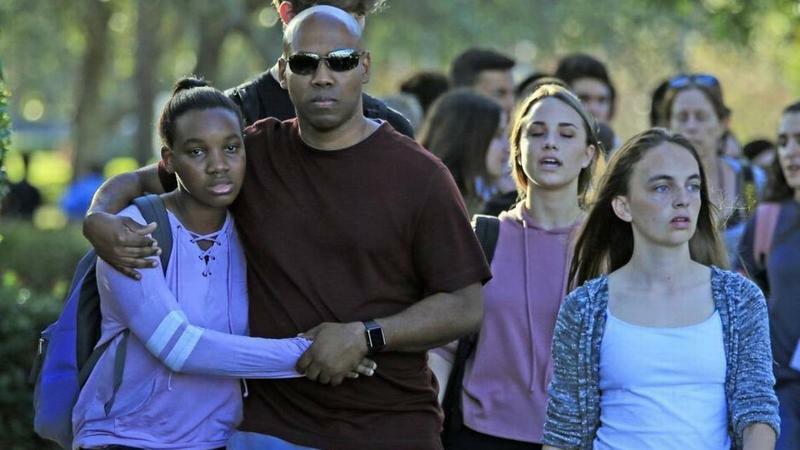 Following Wednesday's shooting at Marjory Stoneman Douglas High School, many organizations have offered mental health support for people struggling with the trauma and grief. WLRN has compiled a list of resources and will periodically update this collection. Hundreds of people filled Church of the Glades in Coral Springs Thursday to honor slain Stoneman Douglas High School assistant football coach Aaron Feis. Feis, 37, was killed in the Feb. 14 mass shooting at the school. Witnesses say he was shot as he ran at the shooter and pushed students out of harm’s way. Ever the coach, Feis’s memorial service opened with the singing of the national anthem. 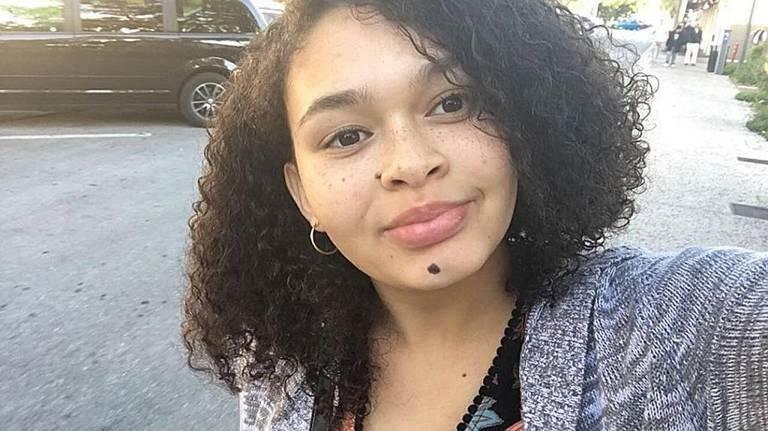 More than 500 people, classmates and community members filed into Church by the Glades in Coral Springs on Friday to pay their final respects to Helena Ramsay, a young scholar who loved to rescue cats. Ramsay was one of 17 victims killed at Marjory Stoneman Douglas High. She had just turned 17 years old in January. She was described as a voracious reader and she loved crafting. At her celebration service at Church by the Glades, her big brother Ellis Ramsay eulogized her.